Trumpf has developed a new nibbler that is the first of its kind worldwide, capable of separating various fiber composite materials: the TruTool FCN 250. This innovation will allow companies to leverage the benefits of nibbling in new fields of application. People have traditionally relied primarily on saws, milling cutters and angle grinders to separate fiber composite components as thick as 2.5 millimeters. Unfortunately, smooth cut edges and high-precision results are extremely difficult to achieve using these tools. In addition, saws, milling cutters and angle grinders emit a lot of smoke and hazardous dust. 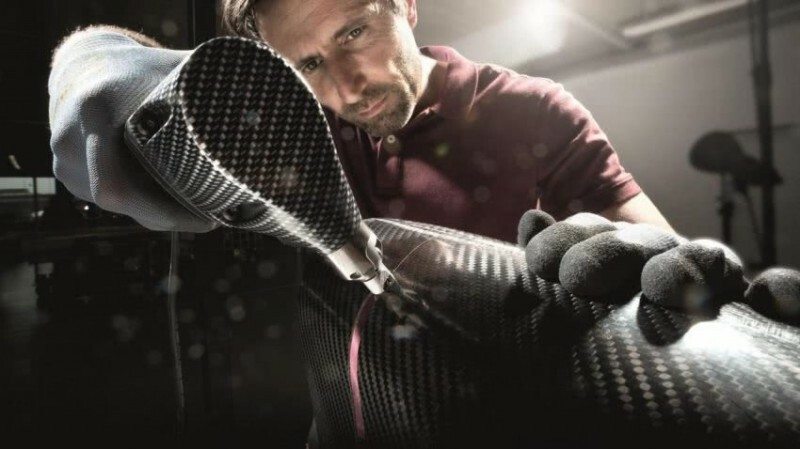 Operators who use the Trumpf nibbler to separate fiber composite materials use in the most of the cases no personal protective equipment as there is only a small amount of dust. It can separate thermosetting plastics and thermoplastic polymers as well as carbon-fiber reinforced plastics (CFRP), glass-fiber reinforced plastics (GFRP) and aramid-fiber reinforced plastics (AFRP). How did Trumpf accomplish this feat of engineering? Stefan Anshelm, international sales manager for Power Tools, explains that the company modified the nibbler’s cutting geometry and cutting tools to accommodate fiber composite materials. This nibbler is suitable for any sector that uses fiber composite materials to manufacture pioneering lightweight components. Examples include aerospace, automotive and prototype manufacturing as well as the production of equipment for sports or leisure activities. Nibbling is a type of cold working, as heat does not play a role. A nibbler comprises a punch, which executes punching strokes in rapid succession, and a die, which absorbs the force of punching. Thanks to the high-quality, coated cutting tools of the TruTool FCN 250, users can create edges of superior quality. They also avoid delamination (interlaminar separation) and frayed cut edges." The easy-to-operate TruTool FCN 250 achieves a high working speed of 1.9 meters per minute. Because the tool provides users with a clear view of the work surface, they can make precise separating cuts along a scribed line as if they were using a template. In addition, the user can nibble in a straight line or a tight radius. And the tool carrier can be rotated 360°, simplifying tasks in hard-to-reach areas. And a wealth of experience indicates that people can cut sheets with nibblers for a long time while experiencing little or no fatigue. This is due in large part to the compact size and ergonomic operation of nibblers, which do not require users to actively push them forward through the workpiece. 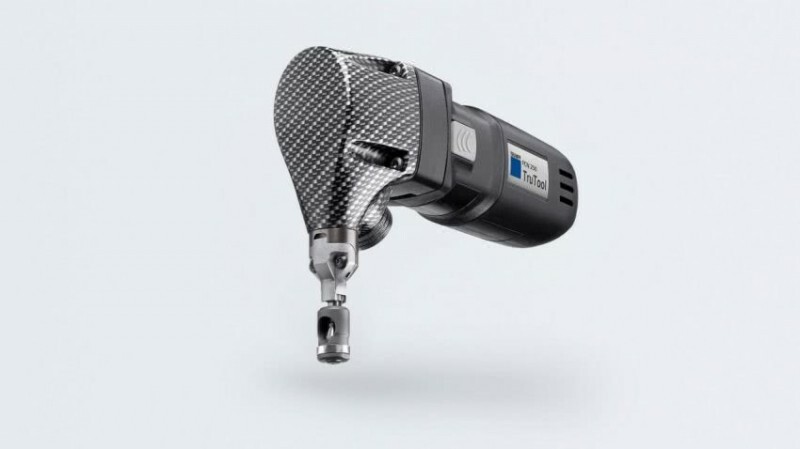 Trumpf engineers have furthermore optimized the distribution in weight of the operating head and the motor, making for a truly ergonomic grip.